When it comes to getting work done around the house, you’re only as effective as your tools. There’s a reason that as time and technology have advanced, so too have the tools used to fuel these developments. 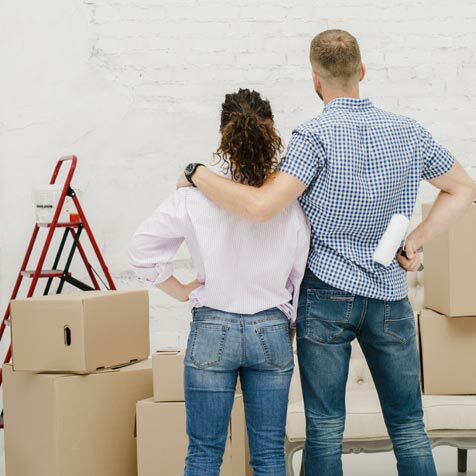 This innovation has trickled into the home improvement industry as well, with power tools becoming a do-it-yourselfer’s best friend. What better example is there than a chainsaw? 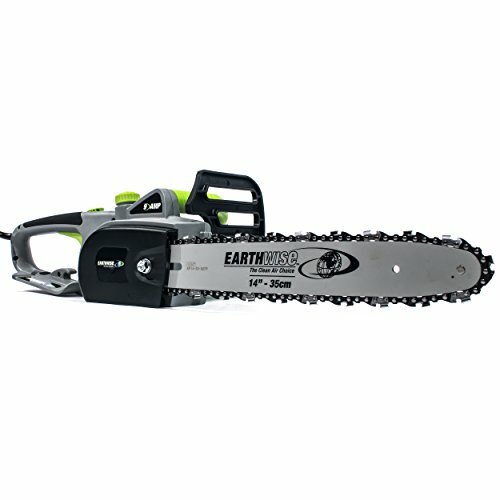 Power tools are there to make your life easier and as long as your name isn’t Leatherface, you should probably have a chainsaw for all your landscaping needs. A chainsaw can drastically cut down the time and effort it takes to chop, shape, and cut wood with little more than a trigger pull. Gone are the days of needing to pull out a two-man saw or chop down a tree like Paul Bunyun. Perhaps the most obvious use, a chainsaw is the ideal tool for chopping and cutting wood. They’re often mobile, allowing you to (carefully) take them up on a stand or ladder to take down any annoying branches. With the right amount of power and the right-sized chainsaw, you can also take down trees of a variety of sizes with some careful cuts. Just be careful and only cut smaller trees that pose no harm to you, your home, or your neighbors if they fall the wrong way! Once you take down a tree, you’ve got to turn it into usable wood! 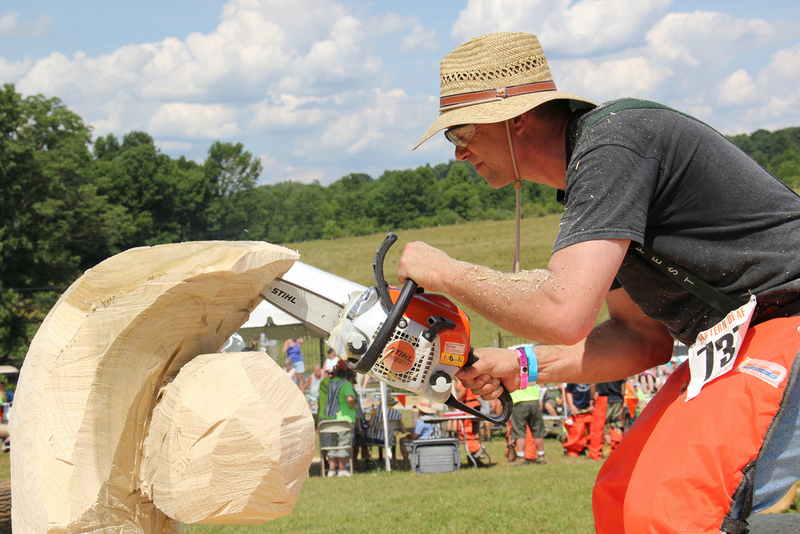 With the help of a small chainsaw mill, your chainsaw can easily cut you uniform lumber from the trunk to be used for building, sculpting, and more. You can easily size a piece of lumber to frame a home or shed, build a bench, build a deck, make garden boxes, and more. Why pay for 2 x 4’s when you can make your own! If you use a wood fireplace, you’re either buying pre-cut wood (and paying extra for it) or chopping it by hand (and paying for it with aches and pains). With your own chainsaw, you no longer have to pull out the axe and get swinging, you can simply split your wood with the power of an electric or gas chainsaw. Have hedges or bushes around your property that you want to maintain, but don’t want to pay a personal landscaper? Your chainsaw can help with that too! Carefully sculpt foliage around your property, trim bushes down to the proper size, and more in just a few minutes. You’ll save a ton of time compared to shears, and tons of cash doing it yourself. Feeling creative and looking for a focal piece for your living room? Get carving! For those who are particularly artistic, a chainsaw and a log of wood are the perfect easel for expression. After all, who hasn’t seen wood and ice sculpting and though, “I could do that!”? Get some inspiration for your wood carvings here! Despite having a relatively simple purpose, there is a surprising amount of decision-making involved in shopping for a chainsaw. Do you want to refill the fuel tank or plug it into the wall? If you’re unsure of what chainsaw would be best for you, keep reading to find out just about everything there is to know when browsing for your new tool. Choosing how your chainsaw is powered is probably the most important decision to make, as it will cut down your choices drastically. There are 3 primary types of chainsaw, each with their own perks and shortcomings. If portability is important to you but you don’t want to deal with gas, a cordless electric chainsaw may be for you. They run off of a rechargeable battery – similar to many other tools like cordless drills. Because they rely on the battery for power, which means that like a gas chainsaw, you’ll have a limited amount of time to work before it is time to recharge. These models are also usually more expensive despite boasting less power than gas-powered chainsaws (unless you go with a deluxe option) but are also quieter because there is no engine roaring. If you’re willing to sacrifice portability for endless battery life, a corded electric chainsaw is an option. Unlike its cordless counterpart, this quiet and lightweight choice plugs into an outlet for its power sourcing, allowing you to cut until your arms get tired. It has similar power to low and mid-tier cordless models, but in general it is weaker than a gas model. Unfortunately, you’ll want to stay close to home because without an outlet, you won’t be cutting anything! A corded model is often the cheapest option available because they don’t require fuel or rechargeable batteries, but if you plan to venture outside of your immediate property, you’ll have to borrow a local squirrel’s power. Got a cheap source of fuel & don’t mind the smell? Consider a gas-powered chainsaw! When it comes to strength, you’ll often find that a gas-powered model offers the most power. This is because of the gas engine they are powered by, which can produce more cutting power and power a longer bar length than their electric coutnerparts. This allows it to cut larger trees more easily. Unfortunately, along with that powerful motor comes a much louder noise and heavier tool. However, they are entirely mobile and allow for perhaps the most versatility in use for the price. Once you’ve decided on your preferred type of chainsaw, you’re going to have to decide on what size you’re looking for. As a general rule, you’ll want a bar length (the length of the blade with the chain revolving around it) that is 2 inches longer than the majority of wood you cut. This allows for the safest one-pass chopping. However, it is possible to cut larger pieces of wood with a smaller bar length, you’ll just need to cut in steps to be safe. If you plan to cut young trees, soft foliage, or branches that are less than 12 inches in diameter, you can get away with a 12-14” model. You’ll find that many electric chainsaws fall into this range, particularly those on the low end. This is because the lesser cutting power of electric models is more suited to residential use that includes only the occasional larger cut. If you plan to take some larger branches or trunks down, you’ll probably have to upgrade to a 16-20” bar length. This means you’ll have to pay up for a high-tier cordless option or deal with the engine of a gas-powered model, but it should still be portable and versatile enough to be useful on a regular basis. If you’re regularly cutting trees larger than 20”, consider upgrading to a commercial cutter that reaches as long as 36”. You’ll probably have to pay a pretty penny, and it’ll almost certainly be gas-powered, but it should get the job done! Naturally, the process of cutting through materials is taxing work on your tool. A chainsaw also has a lot of moving parts that work together, so it’s important that you take care of your machine if you want it to last. Here are some things you can do to keep your chainsaw in tip-top shape. The sharper the teeth of your chainsaw, the easier it cuts. The easier it cuts, the less likely you are to run into slips or kickback, making it safer to use your tool. To sharpen the chain, you’ll need a chainsaw filing kit that will give you a sharpener and depth gauge tool so that you can file your teeth to the right level. Husqvarna have a great guide to sharpening the chain here. The dirtier your bar and chain are, the more likely they are to wear down when used. 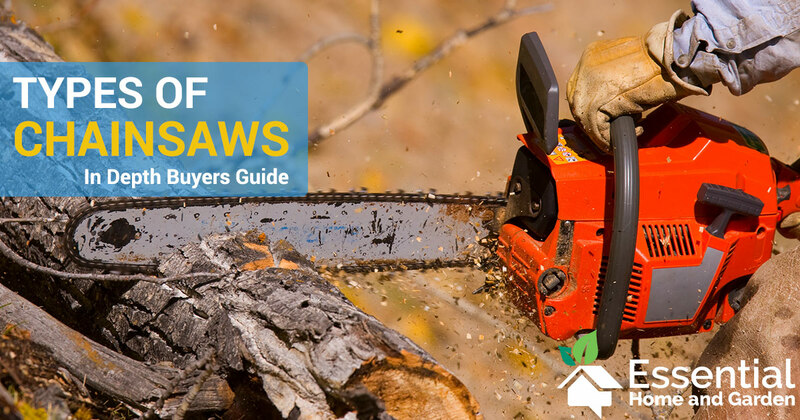 After every use, be sure to clear off the chainsaw’s teeth so that any debris is off of them. This is especially important when it comes to materials like mud that could cake themselves on and damage or rust the metal. You want your saw to have about 1/8th of an inch of give when you pull on the chain, but it should also snap back into place afterwards. If it is too tight, it may stall the blade. If it is too loose, it may fall off or break on impact. Without proper lubrication, metal moving at fast speeds is liable to break down and cause heat – two things you want to avoid when working with machinery. If your chain is looking a little dry, grease it up with a chain oil to keep it sliding nicely. If you’re leaving your chainsaw outside in your shed or just lying around, it’s probably being exposed to the elements. Moisture is metal’s enemy, and if you don’t sheathe it properly you risk weather damage. Gas-powered chainsaws need air to mix with their fuel to power the motor. This filter also helps to stop dust, dirt, and more from getting into the fuel supply and wrecking your motor. Either clean the filter or replace it once you notice it getting dirty so that you can preserve your engine for as long as possible. When it sits around idly, gas inside your chainsaw can begin to break down into a sludge that will jam the fuel intake, plug the carburetor, and degrade performance. Use fresh fuel when your chainsaw has been sitting around and be sure to clean it if you notice any performance issues. As with any tool, there is a risk involved in using a chainsaw. 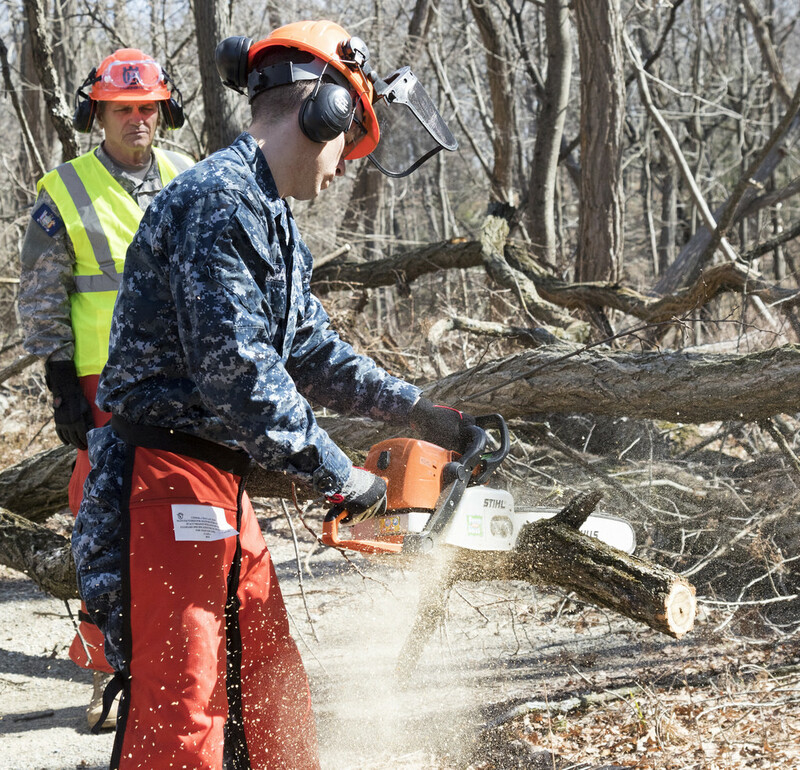 While they are designed to mitigate risk as much as possible, you still have to use the chainsaw responsibly to avoid injury. Kickback is a major problem when it comes to amateur chainsaw users with gas-powered tools, so consider buying a model that is anti-kickback so that you lower the chances of getting stuck and it jumping towards you. To start off, your gear is an important part of how safe you are, especially in the case that something goes wrong. You’ll also want to look over the chainsaw before you begin to make sure you haven’t forgotten about maintenance. Check the chain, fuel tank, power source, and more before turning it on so that you don’t have a problem up in the air or mid-cut. The first rule of safe handling is to always keep your hand off the trigger until you’re ready to cut, and to always point the bar away from yourself and others while maintaining a safe distance from the target. Along with that, clear your environment of anything that may interfere with your cut like rocks, dirt, metal, and more. Your chainsaw should come with a hand guard which will allow you to stabilize the machine better and lower the chances of it dropping. Finally, you want to be sure that you are cutting one piece of wood at a time and that it is on a sturdy surface to avoid slipping. A chainsaw is a potentially dangerous but highly useful tool for anyone who likes to maintain their property, cut their own wood, and more. When used correctly, it will save you time and effort on cutting and chopping tasks for trees, bushes, and more. 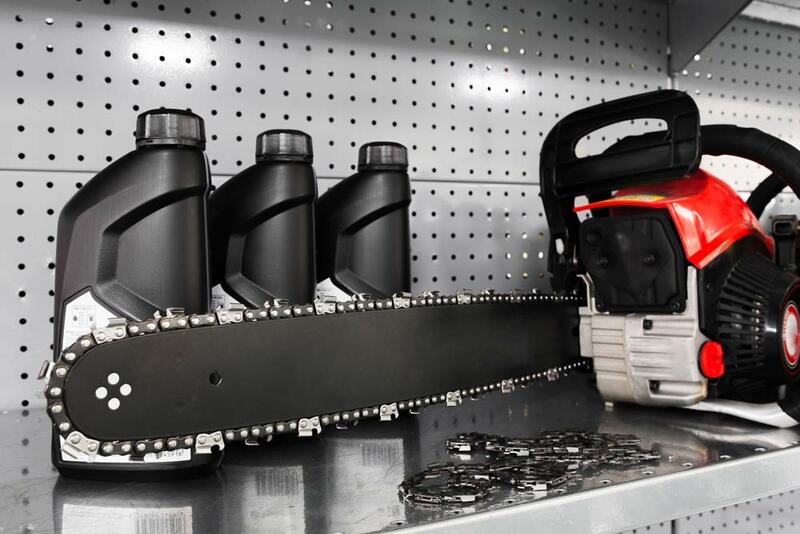 During your chainsaw hunt, you’ll have to determine how you plan to use the chainsaw, how big it needs to be, and what type it should be to fit your budget and needs. 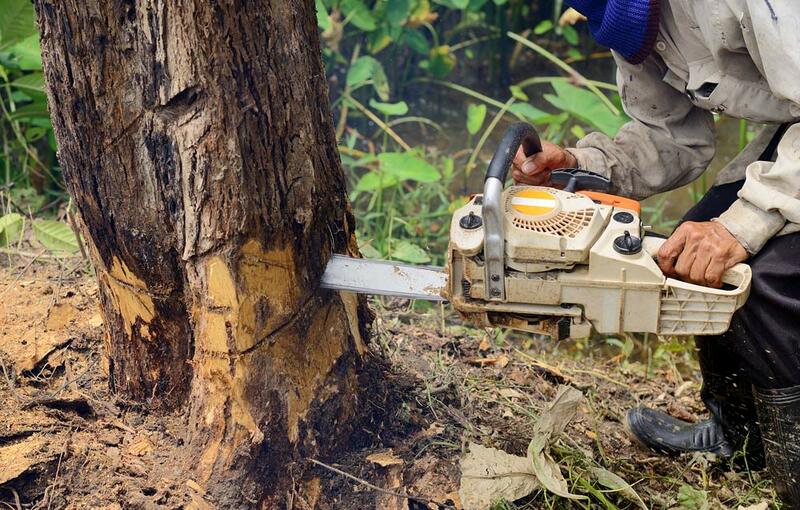 Fortunately, thanks to this article you can compare the major features of chainsaws, maintain your machine, and operate it safely. Happy sawing! Hi! I just came across your site and your blog, and I’m so glad I did! This particular article was very helpful for me. 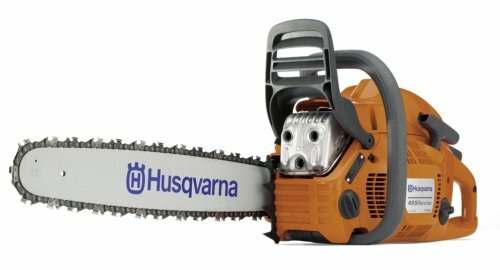 I have a landscape design business, and I have a Husqvarna gas chain saw. 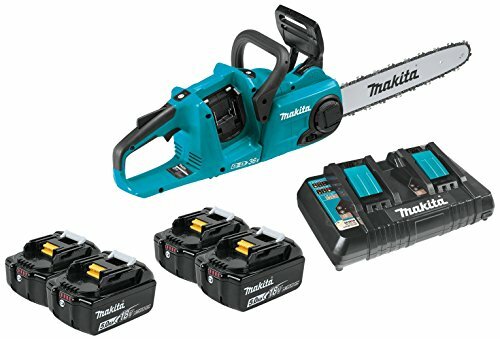 I am going to try the Makita, though, to see if our crew likes it better. Keep up the good work. Thanks for the great articles!! !